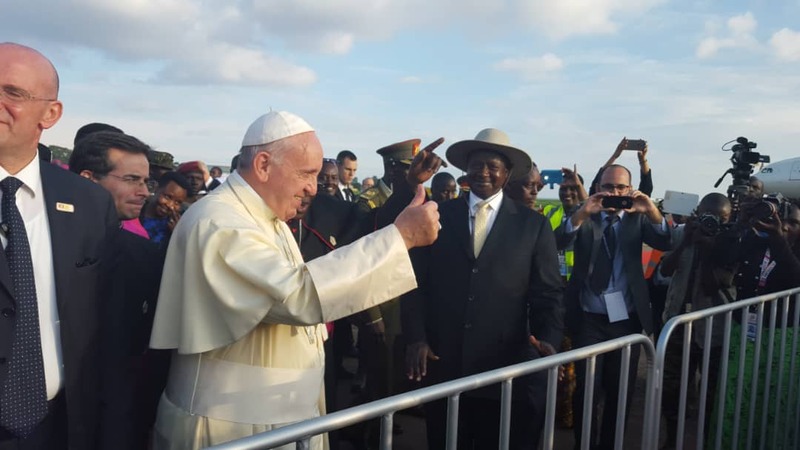 KAMPALA – News coming in indicates that Pope Francis has cancelled his anticipated return to Uganda. The revelation is contained in a statement released Thursday afternoon, February 21, by the Uganda Episcopal Conference, the Assembly of the Catholic bishops in the country. The statement was signed by Msgr. John B. Kauta, the Secretary-General for the Conference. 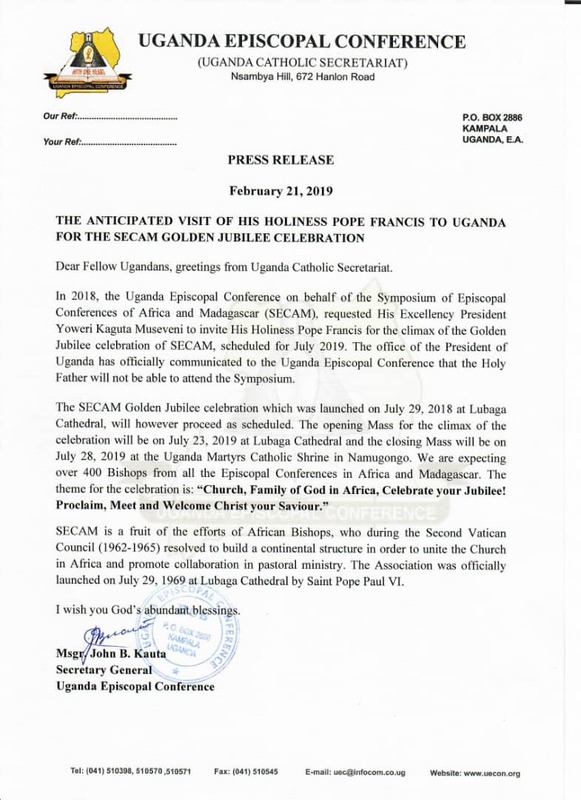 In 2018, the Uganda Episcopal Conference on behalf of the Symposium of the Episcopal Conferences of Africa and Madagascar (SECAM) asked President Museveni to invite pope for the climax of the golden jubilee scheduled for July this year. Minister of Lands, Ms. Betty Amongi, recently said the Holy Father will be in Uganda for the July African Bishops conference. The minister made the remarks during the installation of Rt Rev. Sanctus Linos Wanok as Bishop of Lira Diocese in Lira Town on February 9. However, latest developments indicate the Pope will skip the said conference. SECAM, the Assembly of the African Bishops, will be marking 50 years in July this year with the climax of the celebrations to be hosted in Kampala.